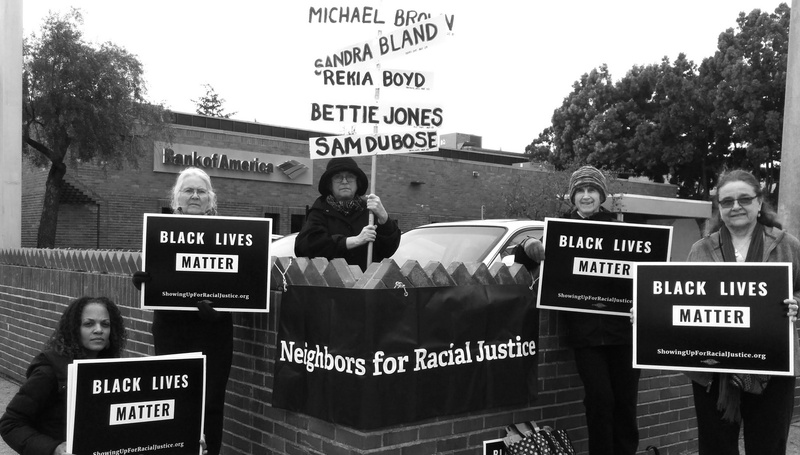 Neighbors for Racial Justice: On MLK Day, Make Your Voice Heard. On MLK Day, Make Your Voice Heard. This Monday, January 18, is Martin Luther King Jr. Day. Join Neighbors for Racial Justice in publicly honoring Black lives from NOON - 1PM at the corner of Fruitvale Ave. & MacArthur Blvd. in Oakland. 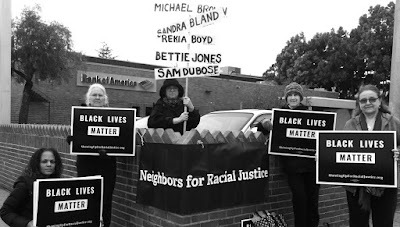 On Saturdays, Neighbors for Racial Justice members hold a Vigil for Black Lives at the corner of Fruitvale Ave. & MacArthur Blvd. As each week passes, we find more support from passers by with honking horns and waves and thumbs up and personal conversations. We are making a difference out there, and we would love to have you join us. We won't be silent. Let's not be silent together!